Print on Porcelain made from silkscreens. I often sketch on my program guides at concerts and reuse them on my work. 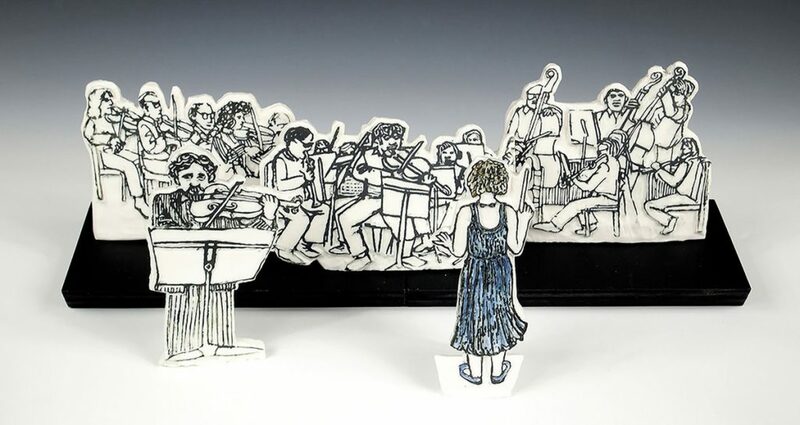 That's me conducting, taking artistic license. It won an Art Tile Award at the Silver City Clay and Tile Festival, New Mexico, 2012.